CAF approves Aba Stadium for Enyimba versus CARA confederation cup clash – Royal Times of Nigeria. 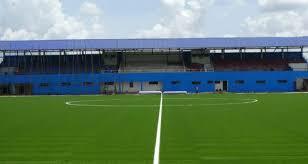 CAF has approved the newly renovated Enyimba International Stadium Aba for Wednesday’s Confederation Cup Group C encounter between Enyimba and Congo’s CARA Brazzaville. 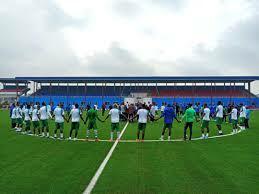 The ground which has been under renovation for the past three years was inspected by CAF officials last week. Two-time African champions, Enyimba have played their four previous home games in the competition this year at the UJ Esuene Stadium, Calabar and Adokiye Amiesimaka Stadium, Port Harcourt. A statement via the twitter handle of Enyimba’s media officer, Farriel Allaputa today said the club is now back home for good. The Peoples Elephant occupy second position in Group C and need to beat CARA Brazzaville to be guaranteed of a place in the quarter-final of the Confederation Cup.